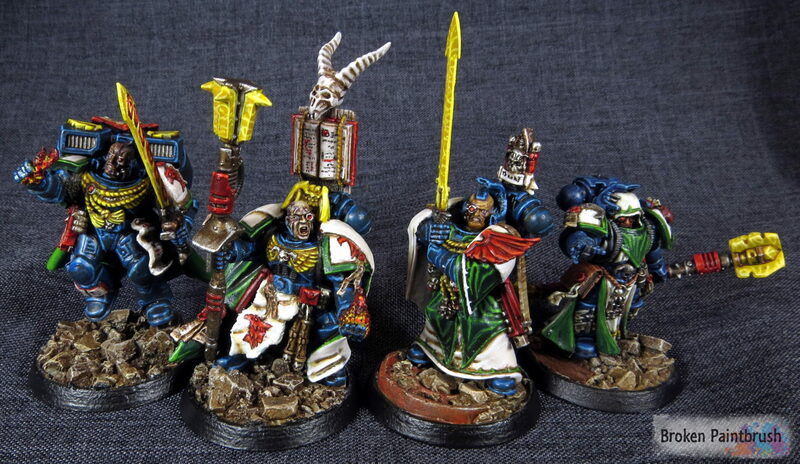 This weekend I finished my Mentor Legion Librarius built out of converted and kit-bashed models for each Librarian. 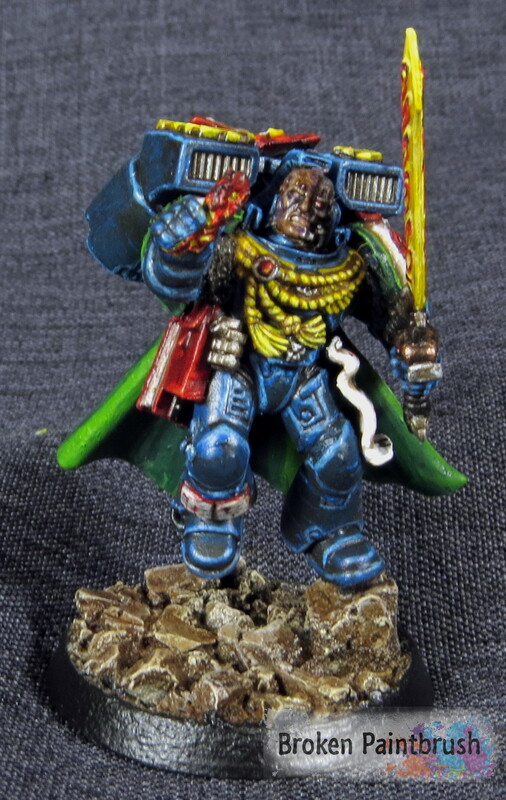 First up is Austu Jorimund, who is among the most aggressive of the Mentor Legion’s Librarians. 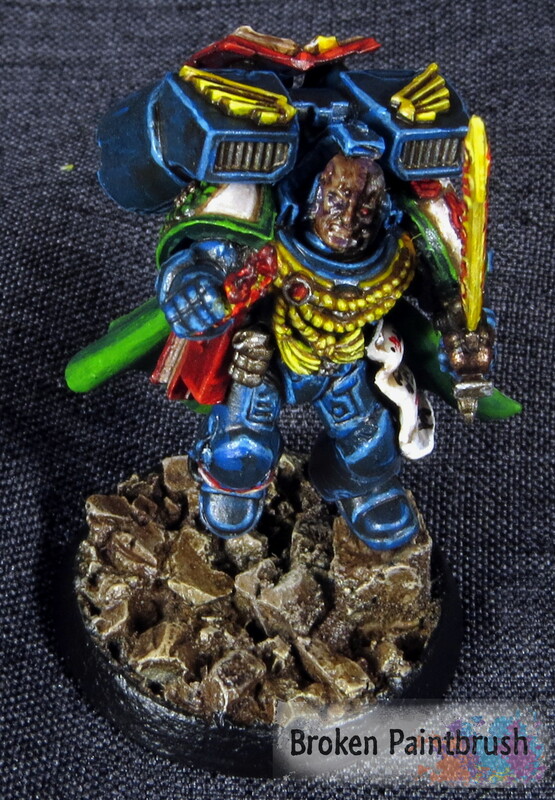 The model is a small conversion from the Dark Angles Master, Balthasar from the Dark Vengence set. 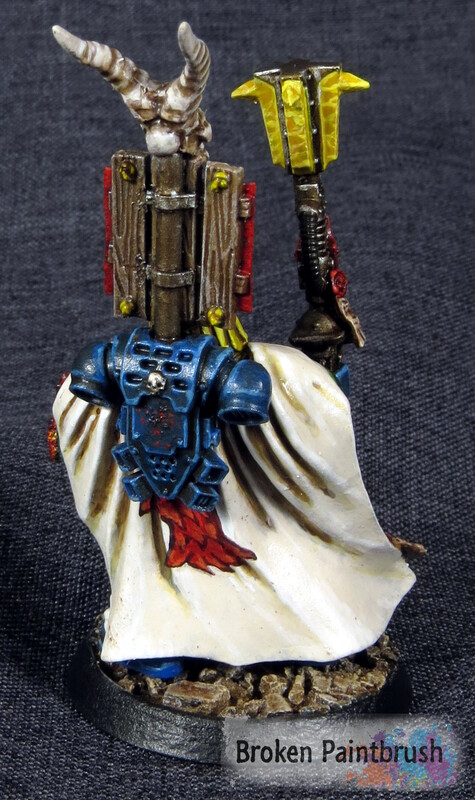 A simple head swap, added psychic hood, and removal of the Dark Angles symbols. The original model is such a fantastic pose that I didn’t want to change too much. The very large sword was a challenge to paint the crackling yellow power weapon look, and I’m not completely happy with it. The second Librarian, Inae Janykchim, is based off of the Assault on Black Reach Captain. Both arms were swapped out and I built the staff from parts from the AdMech Iron Strider’s lance and a Chaos Knight’s mace. 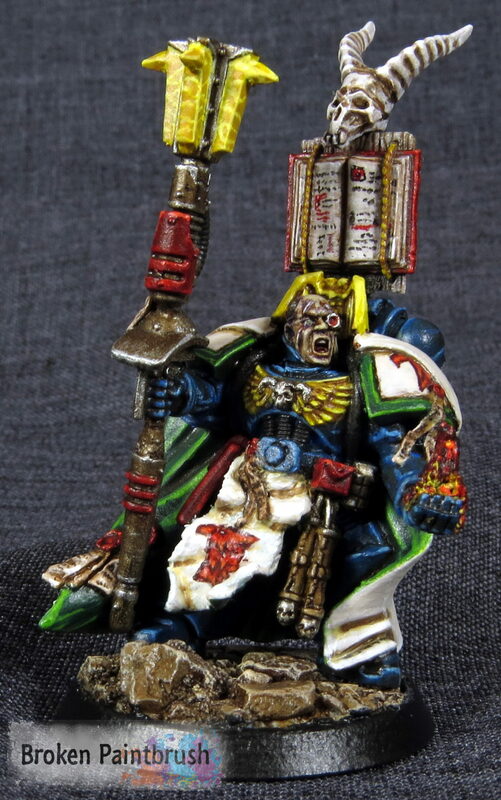 I believe the book on the back is from the amazing Flagellants kit. The transfers were done using the Forge World Raptors sheet and painted over with the reds. 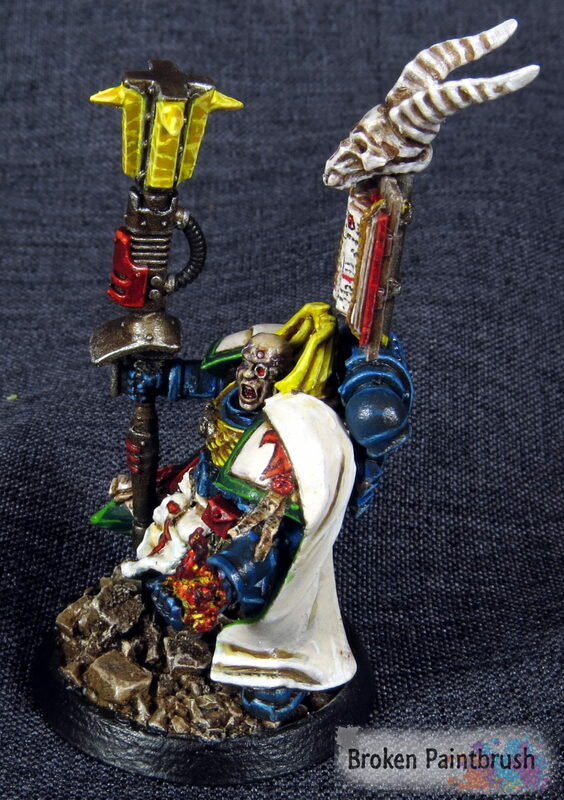 Robed space marines have just a cool look. 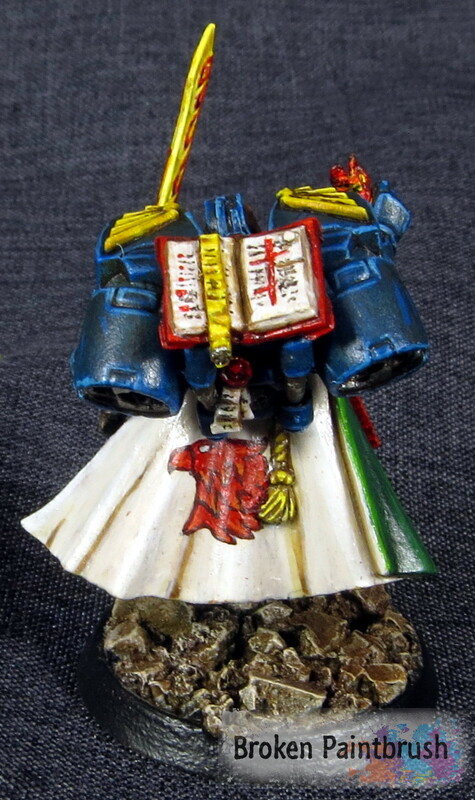 The third Librarian, Anv Shaia, is slated to accompany the assault marines and thus a jump pack was added. The chest and back robes are from the plastic captain model and the sword was from the Librarian from the Dark Vengence kit. The wings were cut from a winged skull icon from the IG tanks (I think?). 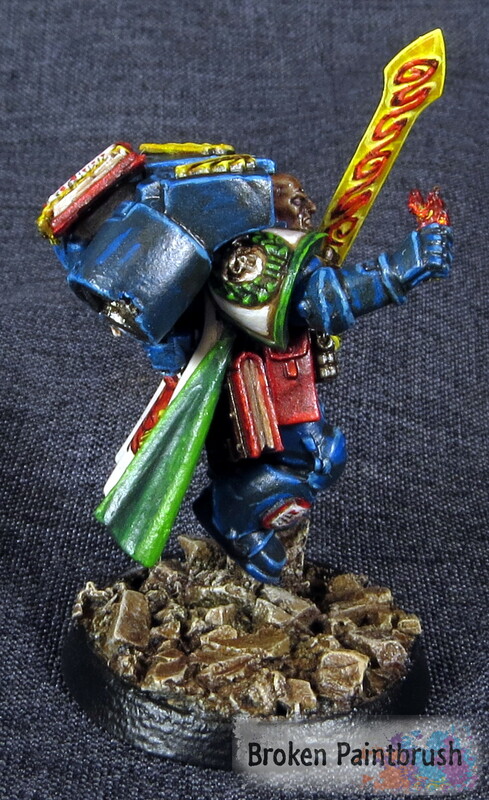 The assault marine legs give him a nicely aggressive pose. I attempted to replicate the fiery look on the sword’s icons, but again, I’m not sure how well it came off. 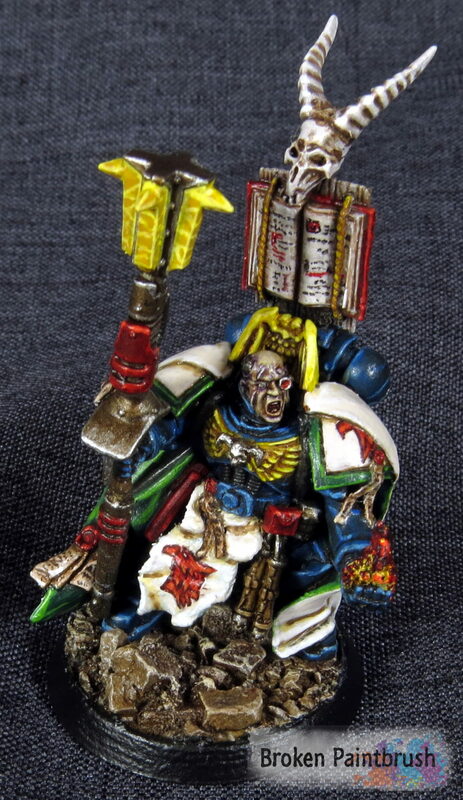 The book is from the Chaos Sorcerer kit, but with all the gubins cut off. These robes were also fairly flat, and looked like a good place for another icon. 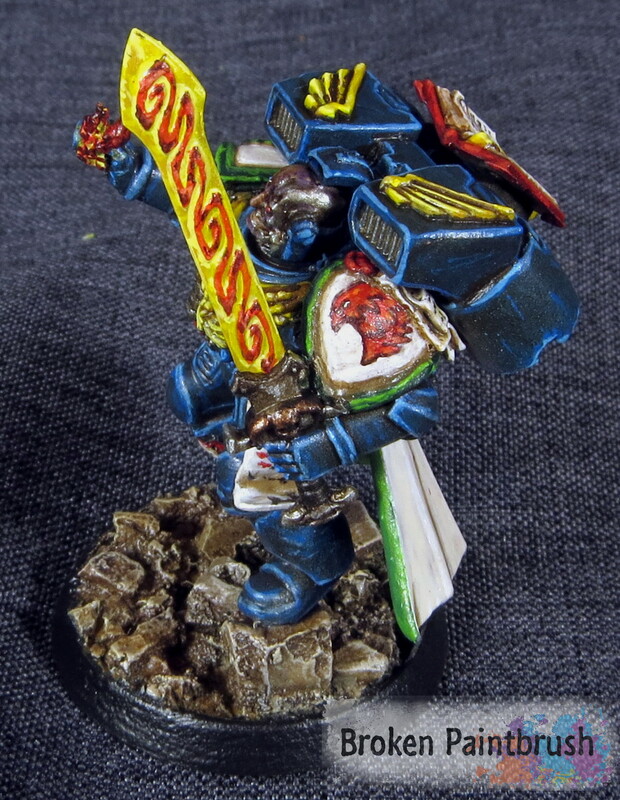 The flame holding hand was built from the pintel-mounted bolter arms with the palm carved back out and the flames were built up using milliput. Now the family shot, you can see that my original Librarian, Echst Ralelerin, was also re-based to match the rest of the squad. This was a really fun project and I am really happy how they turned out.